Shallowford Farm have developed a tried and tested programme of experiences that apply each of these subjects to the farming industry in a way that is practical, challenging, absorbing and completely memorable. The programme provides the young people with a unique platform from which they can discuss ideas, develop passions and grow deeper into a subject. 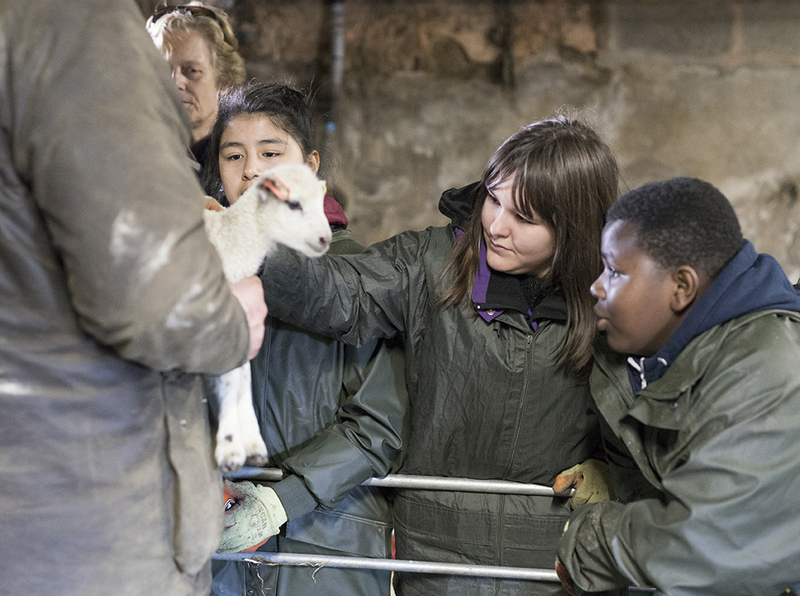 The team from Shallowford Farm, alongside Broadaford Farm and other experts, share their knowledge and experiences of the farming industry in a way that enables young people to openly question, understand safely and feel supported in their learning. Yes Yes Yes! Impossible to name one over another. Excellent mix of hands on farm experience vs learning vs. fun vs. downtime… The staff were excellent, friendly, great to be around. We will be back regularly. Need we say more!!!! The most educational visit I have ever been on, in all my years of teaching. This is an experience that is applicable to Key Stages 2, 3 and 4. Every programme is different, designed to meet the needs of the group, maximise the opportunities presented by the weather and the season. To see a proposed programme click here. Some prefer to adapt the STEM to STEAM by adding Art. The environment and specialities at Shallowford enable many different mediums to be experienced. Contact us here…. to discuss the needs of your group.